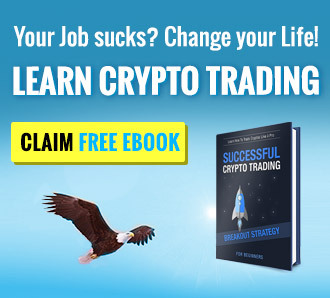 Livecoin.net Review 2019 – Scam or Not? Livecoin is a Bitcoin and altcoin exchange platform that offers many currency pairs, including trading altcoins for FIAT currency. Livecoin utilizes a maker/taker fee model with competitive fees for takers and bonuses for makers with a sliding scale depending on the monthly trade volume. This means that every time user places an offer onto the exchange order book for other users to take up, it get paid a bonus instead of paying trading fees. This model encourages users to actually provide liquidity instead of taking liquidity from the order book by accepting the offers from other users. The bonuses range from 0.01 percent to 0.1 percent on every trade users make, and past trading volume determines them. When it comes to taker fees, the exchange has very competitive fee model. For volumes below 2,000 US dollars – 0.20 percent fee of the amount traded applies. As the monthly volume increases, the fees percentage drop. Finally, for volumes above 300,001 US dollars, the fee reaches the minimum of 0.01 percent of the amount traded. Livecoin deposits and withdrawals in cryptocurrencies are free of charge. When it comes to withdrawals in digital currencies, only minimal network fees apply. The complete fee schedule, as well as withdrawal and order limits, can be found here. The first two are usual orders on the majority of exchanges, but the third one is where Livecoin shines. Pending orders are orders which are automatically triggered when the price hits a certain level specified by the trader. This can be very useful in markets where many competitors are trying to be on top of the order book or in cases where the user could influence the market by placing a large order. Pending order helps to avoid the disturbance of the market by hiding offers from the books which everyone can see. Margin trading isn’t supported on this trading platform; neither are derivates or futures. One of the best things about this exchange is their altcoin and FIAT currency pairs. Having this option makes things a lot easier and makes calculating profit and loss less troublesome. It also removes a layer of unnecessary expenses because of paying two sets of fees instead of just one. That’s because on the majority of the trading platform users need to trade FIAT for Bitcoin and then Bitcoin for other coins. There are no FIAT/altcoin trading pairs. This feature makes Livecoin particularly attractive. The interface is nicely designed and relatively easy to use. Everything is just a click away, and switch between the markets is faster than on the other exchanges. The company doesn’t have apps for Android and iOS yet, but the website is responsive, and it looks good on mobile devices. It looks beautiful – it’s easy to use, and it’s load time is impressive. The support team from Livecoin.net is very professional and friendly. The types of support offered are 24/7 chat and email support. The exchange has a sort of remote FAQ page on Bitcointalk forum, which is quite extensive and a great place to ask any questions. There are not a single complaint about the exchange on the Web at the moment of the writing of this review. The website offers two-factor authentication and PIN code as well as SMS and email notifications. There is no information about the encryption of the emails or cold storage of the coins. There were no hacking attacks so far, meaning that this is a safe place for Bitcoins as well as altcoins. Livecoin is a great exchange with a huge support for altcoins and a very competitive fee schedule. Livecoin is one of the rare exchanges that offer trading altcoins for FIAT currencies, which makes it a valuable market. Very reliable and affordable exchange. Do you have good or bad experiences with this Bitcoin Exchange? Please share them! I really hate this exchange right now! Waiting sinc one week for an answer. i purchased 20000 vrs on live coin on 7/1/2018..today as we all know price went up drastically.i had no sell order and my history clearly shows i purchased 20000 in jan 2018..i now have 20 vrs.wonder where in the 19980..are you guys scammers???? Also there is NO maker/taker fee anymore. They advertised it to get everyone used to it and then when they had many customers and tonnes of volume they silently removed the maker/taker fee and charged a fee on every trade which goes to Livecoin, not the person who made liquidity. This is not only immoral and unethical, it is a greedy thing to do and it damages exchanges appearance and bitcoin’s image as a whole. “Livecoin deposits and withdrawals in cryptocurrencies are free of charge.” THIS IS INCORRECT! Look at the fees for withdrawal hey are SKY HIGH they expect you to pay $30 for BTC wthdrawal even though the fee is less than $0.50 for a transaction! They NEVER lower the withdrawal fee, ONLY INCREASE! Also minimums are SO HIGH that you can’t just trade $100 of crypto because you cannot withdrawal it! Essentially to get your money back out you need to deposit another $900 before you can meet the minimum and also afford the fee. Criminal what they are doing. It is not a scam. I just withdraw my coins successfully. I am not just saying this from my own experience. Guys, please be carefull when you use Livecoin as an exchange. They scammed me bigtime and they are awfully cheeky aswel. I made a deposit but never received it. You can only reach Livecoin by sending a ticket and it took 3 days before they finaly responded and they said I made a mistake bu doing multiple deposits in 1 transaction and my money is gone, just like that. Now I don’t even know that’s possible, let alone how. After asking them how this can be true and how to get my money back they ignoring me so I reached out on their Facebook. All they did was telling me I had to make a ticket (wich they ignore) and delete my messages. 1. They steal my money and blame me for it. 2. They ignore me and refuse to help me. 3. They block me from their exchange. 4. They are very unkind. Beware of this en don’t EVER trust Livecoin with your money because this is pretty clear to me, Livecoin is a big scam. So yeah, they make my money dissapear and the support is the worse i’ve éver seen. In other words; be carefull to trust these guys with your money. Hello I have Livecoin account, at the beginning it costs little to understand what, but really the platform is well and very easy to work. Even though I have 2FA enabled on my account, Livecoin.net have managed to blocked me from withdrawing funds for 10 days. This is completely rubbish. Every time you make changes on your account info, they block you from withdrawing your fund for 10 days. I also had to wait 5 mins to be able to withdraw funds after login into my account. Withdraw of Litecoin took longer than 1 hours !!!!!!! Support were un helpful. Stay away from this guy !!! take your money somewhere else !! its not worth wasting time with them. 3 BTC in, Alt coin withdrawn with no issues. Not as fancy as other top exchanges but trading pairs in USD make the math much easier. The BEST exchange by far out of any of the other exchanges especially for coins that aren’t listed yet on the big ones!!! Disaster, eth were lost when sending them from Bitstamp, which works normally between other exchanges- do not recommend this and will never use it again. Unfortunately, we can not process your transaction, your funds are lost). Its withdrawal fee is so much expensive, and coins below the decimal point are unable to withdrawn. The price of selling and buying board are always far apart, and trade is not active on it. Livecoin server is down and not opening, showing the message that is it under maintenance and will resume 5-10 minuts, but since last 6 hours, it is not resuming.There is no reason or message mentioned what is the real problem. I deposited a large amount of an altcoin, and it still shows that it is pending (1,000 confirmations and 4 days later). Nothing. This money was from a very profitable purchase I made a year ago and was going to use it to pay a significant portion of my student debt. Support hasn’t responded and my ticket has gone unnoticed. Bad experiences with the support, questions will be forwarded after a week or will never be answered. If you have a problem, you can never see your money here again. … Then after my 2nd tx, LiveCoin pulled the same scam so many Exchanges pull (HitBTC.com). They refuse to let me withdraw my ETH. I’ve asked them why… I get no response. I’ve been executing deposits and withdrawls for 12 hours a day for the past 3 days. The Ethereum Blockchain is working just fine. They put some B.S. disclaimer stating “a developer” can shut down your wallet and don’t have to give a valid reason why. Likely, they’re trying to increase the liquidity of their exchange by hold your money hostage. This is why Atomic Swaps will extinct these scam exchanges. AVOID, unless you like leaving a lot of money on an exchange, risking a hack and losing everything (i.e. Mt. Gox). I have deposited and withdrawn 3 times. Deposit of ALT coin, trade to BTC, trade to another ALT coin, finally a withdraw of the ALT with no issues.No delays I like them so far. Dont believe on Livecoin exchange , always goes down by showing website maintenance message on front page. They hacked my currency wroth of $45000, my currency has gone from my account nothing showing any proof of transactions, its showing empty balance right now i have contacted many time and there is no response of my email and account has been closed. i wounder why they deleted my account . does anyone knows these gays location where i can register complaint against their exchange to get my money back? 100% scam exchange. They stolen coins from users accounts. i have lost $8500 wroth of currency on livecoin.net exchange. i did not receive any withdrawal notice of my coins nether they showing any wallet where my coins has been shifted. i have contacted to support but their response is too much slow and when i proved all proof that they stolen my money, they deleted my account and stopped ticket reply on support. livecoin is definate scam. i found out the hard way. i accidently deposited 3 and a half bitcoins into my bitcoin cash account and they would not give it back. they told e once you put it n the wrong address like that you can’t get it back and no one else an either. but then i found out on hitbtc that it can be recovered but is a very hard process with a lot of work involved. hitbtc said it can be recovered but they will charge a 25 dollar fee for doing it since it is so much work involved. i offered livecoin whatever they wanted to charge me and then after no answer back from them i even offered a thousand dollars to do this for me and now they will not even answer any of my emails at all any more. so yes, they are a scam and they stole 50,000.00 dollars from me and there is nothing i can do about it because once they have your coin you are at their mercy and when they stop communicating it is even worse. someone at livecoin most likely just paid off their mortgage at my expense and are sitting back laughing at me. Their support is BAD… They stole BTG from everyone and spent them all.. All they do is say “Our official viewpoint for all BTC forks is based on original Bitcoin developers statement. Everyone who support BTC forks will be blacklisted by developers of the original BTC, that is why we are not planning to list forks. This stand could be changed due to market conditions.” But they did list BCH which is also a fork of BTC.. And their fees are abnormal (BTC 0,001) and changing daily for coins of interest.. See EOS they increased fee 4 times in 48h.. 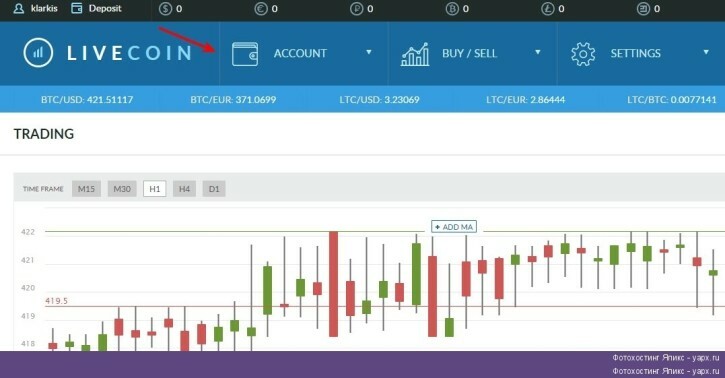 They could be solid exchange but their greed will keep trader away, so i am sugesting you to stay away, been with Liveconi.net since begining but lately (last 8 months) they are not doing well..
Scam. No way to withdraw your money unless the amount is fairly low. If i could explain My Problem in details.. What else do they need? Check My balance its stuck! Ffs!!!! dont use this exchange unless you want to lose your funds. I send my funds to the address they told me to with the message they told me to attach. They didnt show ever recieving the funds so i sent a support ticket which took 6 days to answer. There answer is they cant receive transactions that way. So meanwhile they have my funds in there wallet but they of course cant send them back. So use at your own peril. they will never steal funds from me or anybody i talk to again if i can stop it. I have been waiting for days for livecoin to release my BATA coins. I have contacted them various times without success. I am not sure what is going on. The wallet for this coin is working well and their customer are not replying to my tickets. Scam or legit, not sure yet! I transferred on Aug 29th 2.00138600 ETH I verified the transfer code and have emailed the company 8 times now and no response. Livecoin is obviously a SCAM and when and if I ever get my money I will immediately transfer it do you really have to RIP your clients off thank god its not allot of money. I do not recommend the site. I paid about 500 $ and after a few days I wanted to pay Unfortunately, there were problems here: the page canceled my paycheck and changed the PIN code and then after reporting the problem blocked the payment. Now I wait 48 hours if after that time I still can not pay the police report. Scam!!! Llevo varios días escribiéndoles para que me desbloqueen mi cuenta y nadie responde. No metáis el dinero allí!! Im sorry for judging so fast but I really didn’t expectet that. They answered in a very short ammount of time, they were also very friendly and they could solve my problem. I think i need to apologize. Super thing until now. Go On! The Support is really bad! for the fees you take you could make it million times better!!! its support is so bad. IT’s a scam. At 11:24 am on 28.07.2017 u can check on coinmarket cap and other exhange also that the price of REECOIN is 0.00001244 BTC and this value is fluctuating there but on live coin they are still showing that the value of REECOIN is 0.00000021 BTC or sometimes 0.00000022 BTC. They are forcing sellers to sell the REECOIN on low amount so that they can buy it later SELL it at higher prices or they are using consumers REECOIN to buy on lower prices and sell it at higher prices on other exhanges. Great so far! 7/4/17. Baton Rouge, USA. It’s 7:26 EST 5/26/17 and the Livecoin exchange is down! I wonder what type of computer systems they use. Are they fault tolerant and linearly scalable? Will they hang up when cryptos really take off? I think it’s wise to use different exchanges and limit your exposure. There’s no need to take an exchange off line for maintenance if the proper investment is made in a reliable computer system. I know HPE NonStop systems are designed to never have issues like this.